On Saturday, after four-day hiatus so players could participate in the 2016 Aussie Millions Main Event, the six finalists remaining in the $100,000 Challenge – a tournament that began with 41 entries (30 unique + 11 reentries) and featured a AU$4,018,000 prize pool — returned to the Crown Casino in Melbourne to play down to a winner. 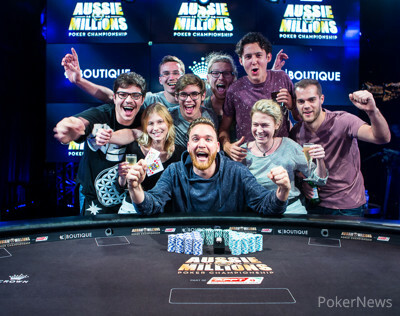 After a short four hours of play, it was German high roller Fabian Quoss who defeated all others to capture the AU$1,446,480 (just over $1 million) top prize. It marked the second-largest score of Quoss' career behind the $1.6 million he won for taking down the 2014 PCA $100,000 Super High Roller. 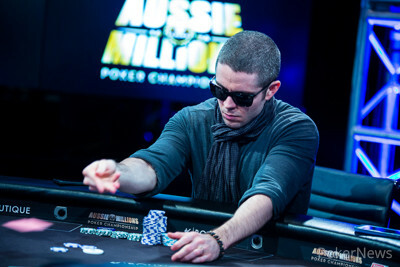 Quoss had come close to winning an Aussie Millions Challenge title twice before, albeit in the $250,000 Challenge. The first time he flirted with the title in that tournament was in 2013 when he finished third for AU$750,000, and then a year later he took fifth for AU$800,000. 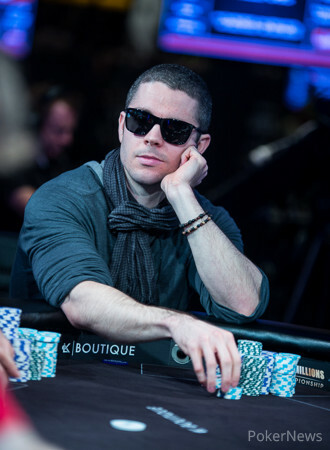 Quoss also final table the 2013 $25,000 Challenge, finishing fifth for AU$51,000. The first hand of the day saw Fabian Quoss double through Connor Drinan, and that set the fast pace of play. Just five hands later, Fedor Holz fell when he called off his short stack with king-queen and failed to get there against Drinan's pocket fours. Then, on Hand #12, Sam Greenwood followed him out the door after his ace-deuce fell to Drinan's queen-nine after a nine spiked on the river. 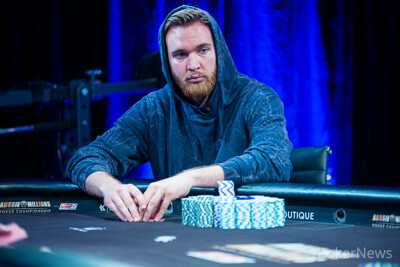 On Hand #26 of the final table, it was Drinan who fell in fourth place after getting involved in a big hand with Quoss. Holding a queen-high flush, Drinan was faced with a decision for all his chips. He used both his time extensions to contemplate the decision, and with literally a second left on the clock he called off to discover his queen-high flush was no good against Quoss' ace-high. Three-handed play last for awhile, but eventually Team PokerStars Pro Jason Mercier bowed out in third place when his ace-eight failed to hold against the king-queen of Quoss, who in turn took a big chip lead into heads-up play against start-of-the-day chip leader Ben "Ben86" Tollerene. Tollerene had to settle for runner-up and a AU$924,140 (USD$654,634) consolation prize, which may have paled to the countless millions he's won online, but still marked the largest live score of his career. 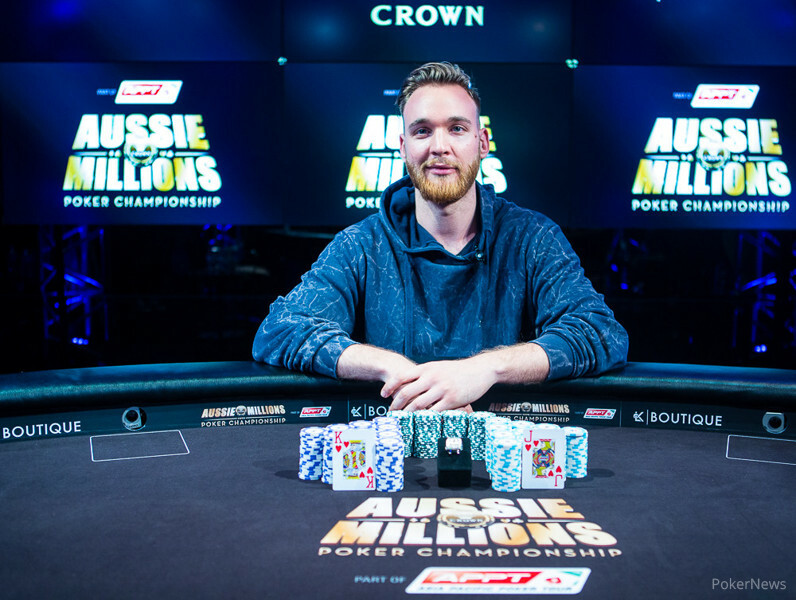 Congratulations to Fabian Quoss, the 2016 Aussie Millions $100,000 Challenge champion! Hand #124: With the , Fabian Quoss moved all in from the button. Ben Tollerene had the in the big blind and only a little over 200,000 in chips left. Tollerene decided to make the call and put himself at risk, but he saw the bad news that he was dominated when Quoss turned over his hand. The flop kept Quoss in the lead, and the on the turn only took away an out from Tollerene because it gave Quoss a flush draw. The river was the , and that was that. 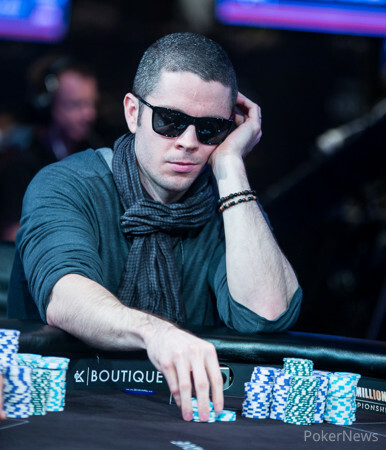 Tollerene was eliminated in second place, and for that he earned AU$924,140. Hand #118: Fabian Quoss held heads up and with a raise he picked up the pot. Hand #119: Ben Tollerene raised with from the button to 80,000 and Fabian Quoss called with from the big blind. The flop brought out and Tollerene bet 60,000 after Quoss checked to him. Quoss made the call, and the turn brought the , giving Quoss a flush draw on top of his pair of sixes. Quoss checked again, and Tollerene now bet 150,000. Quoss made the call again, and on the river the hit, giving Quoss trips. Quoss moved all in on the river, and Tollerene folded right away. Hand #120: Fabian Quoss moved all in with and Ben Tollerene folded . Hand #121: Fabian Quoss received a walk with and he won the pot. Hand #122: Fabian Quoss moved all in with and Ben Tollerene folded with . Hand #123: Ben Tollerene moved all in with and Fabian Quoss folded . Hand #99: Ben Tollerene had the button, and he picked up the before he made the call. With the in the big blind, Fabian Quoss checked, and the flop fell . Quoss checked, Tollerene bet 40,000, and Quoss folded. Hand #100: Quoss had the on the button and raised to 90,000. Tollerene had the in the big blind and called to see the flop. Tollerene checked, and Quoss bet 80,000. Tollerene folded. Hand #101: On the button, Tollerene picked up the and called. Quoss had the in the big blind and checked to bring about the flop. Quoss bet 50,000, and Tollerene called. The turn was the to pair the board. Quoss checked, and Tollerene bet 80,000. Quoss folded. Hand #102: Quoss had the on the button and raised to 90,000. Tollerene folded the from the big blind, and Quoss won the pot. Hand #113: Tollerene had an unknown on the button and limped in. Quoss, with the , raised all in from the big blind, and Tollerene folded. Hand #114: Tollerene won the pot with big slick preflop in unknown action. Hand #115: Tollerene had the on the button and raised to 80,000. Quoss had the in the big blind and made the call. The flop was , and Quoss check-folded to a bet of 80,000 from Tollerene. Hand #116: Tollerene won the pot from the big blind with the . Hand #117: On the button, Tollerene raised to 80,000 with the , and Quoss called from the big blind with an unknown hand. The flop was , and both players checked to see the land on the turn. Quoss bet 75,000, and Tollerene folded. Hand #94: Fabian Quoss gave Ben Tollerene a walk. Hand #95: Ben Tollerene raised from the button with and he picked up the pot as Fabian Quoss folded . Hand #96: Fabian Quoss raised with from the button to 90,000 and Ben Tollerene called from the big blind with . The flop brought out and Tolleren check-folded to a bet of 90,000. Hand #97: Ben Tollerene limped on the button with and Fabian Quoss checked with . The flop brought out and Quoss check-folded to a bet of 80,000. Hand #98: Fabian Quoss raised from the button to 90,000 and Ben Tollerene three-bet to 220,000 with . Quoss moved all in with and Tollerene folded right away. Hand #88: On the button, Fabian Quoss raised to 90,000 with the . Ben Tollerene made the call with the , and the flop came down . Both players checked, and the turn was the . Tollerene checked, and Quoss also checked. The river was the to put four clubs on the board, and Tollerene checked. Quoss also checked, meaning Tollerene's pair of sixes would win the pot. Hand #89: Tollerene had the button and gave Quoss a walk. Hand #90: Quoss had the button, and he raised to 90,000 with the . Tollerene made the call with the , and the flop fell to give Quoss the lead with a pair of tens. Tollerene checked, Quoss checked, and the turn was the . Tollerene checked, and Quoss bet 115,000. Tollerene folded. Hand #91: Tollerene was on the button, and he was dealt the . Tollerene raised to 80,000, and Quoss called with an unknown hand. The flop was , and Quoss checked. Tollerene bet 80,000, and Quoss folded. Hand #93: Tollerene had the button and limped in with the . Quoss checked his option with the , and the flop fell . On the flop, Quoss checked, and Tollerene also checked. The turn was the to give Quoss a flush, and both players checked to see the complete the board on the river. Quoss bet 50,000, and Tollerene folded. Hand #82: Quoss folded on the button. Tollerene took it down with . Hand #83: Tollerene with on the button limped in. Quoss checked with the . The flop came and Quoss, with the flopped gut shot, bet out 50,000. Tollerene folded right away. Hand #84: Quoss raised to 100,000 on the button and Tollerene with in the big blind called. The flop came and Tollerene checked. Quoss bet 100,000 and Tollerene quickly gave it up. Hand #85: Tollerene limped in and Quoss with raised to 125,000. Action was back on Tollerene and he shoved all in. Quoss folded right away. Hand #86: Quoss gave Tollerene a walk. Hand #87: for Tollerene on the button and the high stakes regular made it 80,000. Fabian Quoss called with the . The flop came , giving Quoss the best hand. He checked and Tollerene checked back. The on the turn and on the river had both players check again and Quoss took it down. Hand #79: Ben Tollerene limped in with and Quoss checked with . and Quoss check folded to Tollerene's bet. Hand #80: Fabian Quoss raised on the button with and he picked up the pot. Hand #81: Ben Tollerene raised from the the button with and Fabian Quoss called from the big blind with . The flop brought out and Quoss checked to Tollerene who bet 80,00. Quoss made the call and on the turn the hit. Quoss checked again, and Tollerene moved all in for 353,000. Quoss went into the tank for a bit before calling, and Tolleren found himself in a great spot to double up. The river was the , and Tollerene doubled up. Day 2 of the $100,000 Challenge Starts at 2:10 p.m.